Isn’t It Better To Rent? 07 Jul Isn’t It Better To Rent? Isn’t the internet a wonderful thing? The internet provides us with an avalanche of information and it is quite easily to suffer from information overload. One one hand it makes us the smartest generation ever, but it also makes us one of the most indecisive generations ever. The issue with collecting more information is we can find an article, opinion or statistics that support ANY view point. You pick the topic and your standpoint (for or against) and you will literally find millions of websites that support your point of view and another million websites that do not. Home ownership is one of these topics. You can find people who will argue for and against the importance of home ownership. 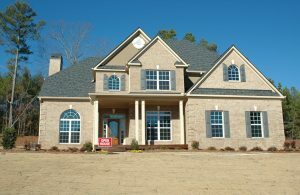 At Master Your Money Now we strongly believe that owning your own home is one of the most important steps you can make. It enables you to take control of your finances and have a overwhelming sense of ownership and accomplishment. But of course not everyone agrees with our point of view. There was an article recently which stated that it is better to rent over the long term than it is to have a mortgage. It implied that the best financial decision you can make is to sell your home and rent. It definitely had some appealing arguments to support its point of view. When you are renting you pay less and can arrange for your landlord to pay for stuff that breaks down. You also don’t have to put in the hard yards to save for a deposit. But while articles like these appeal to the masses (especially the lazy) ultimately it does have some flaws. You see when “experts” make these statements they have to rely on a set of assumptions, which are often unrealistic. The biggest assumptions that the article makes is that the money you “save” from renting (in comparison to owning your own home) is saved into superannuation or a similar high growth investment. For example if it costs me $2,000 per month to have a mortgage on my current place, but I can rent it out of $1,500 per month, the $500 per month that I save I contribute to my superannuation. I think we can all agree that those who are choosing to rent are not using their “surplus cash flow” to save and invest. The only exception may apply for those who are saving for a home. But for the overwhelming majority they are going to use these funds to either travel more, buy more, or drink more! And even if you were disciplined to save these funds, I have no doubt that in the future there will be some expense that will require you to utilise that money you have saved for! Often home ownership is referred to as “enforced savings” and I totally agree with this viewpoint. I have no doubt that most of us (myself included) could save more if we really needed to do so. Human nature dictates we do more things that we need to do, rather than what we want to do. Owning your own home makes saving (paying off your mortgage) a need, rather than a want. The other issue is that a mortgage is “temporary” but renting is forever. I know it sounds stupid to stay that a 30 year mortgage is only temporary, but there is an end in sight. As part of my role as a financial planner I see the other end of the ‘life renter’ scale. I see people who are in their 50s and 60s who have rented their whole lives and are asking whether they should use their super to purchase their own home (the answer is usually no!) These people will then need to continue renting in retirement, which is a couple of hundred dollars per week which should be utilised to life the good life in retirement. The earlier you can purchase your own home the better. The earlier you purchase, the earlier you pay it off. It doesn’t get easier after you reach 30 or 40, you are likely to have your greatest ever expense which is children. The average cost of raising a child is over $400,000! Do you honestly think it will be easier for you to purchase a home when you have children? And if you don’t own your own home in your 50s or 60s, it is likely to be too late. How do you plan to pay off a 30 year mortgage in ten years (prior to your retirement)? The statement that is better over the long term to rent than buy is complete rubbish. Getting into the property market is one a key pillars of Mastering Your Money Now. Getting into the market does not get easier as you get older. But owning your own home does get easier, especially when you pay it off.